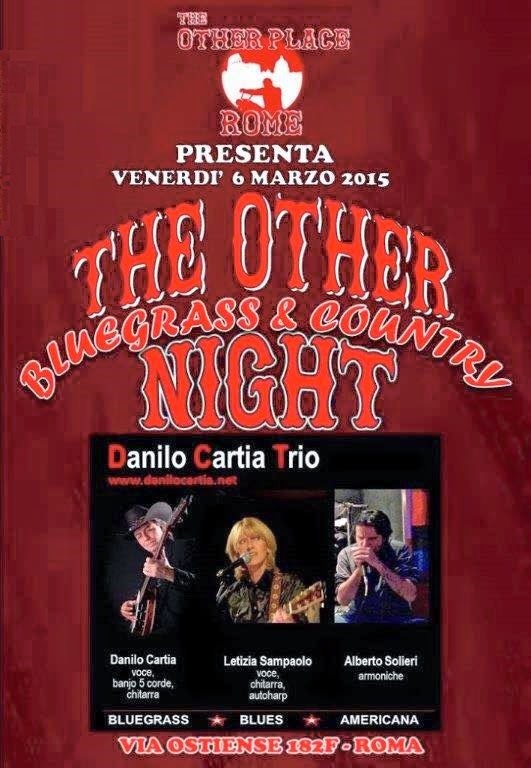 The Danilo Cartia Trio will be holding a concert in Rome tonight! The Danilo Cartia Trio (Danilo with Letizia Sampaolo and Alberto Solieri) will be playing at 'The Other Place' in Rome this evening. Directions to 'The Other Place' can be found on their Facebook page. As the poster above states, an evening of Bluegrass, Country & Americana awaits you at The Other Place.... TONIGHT!